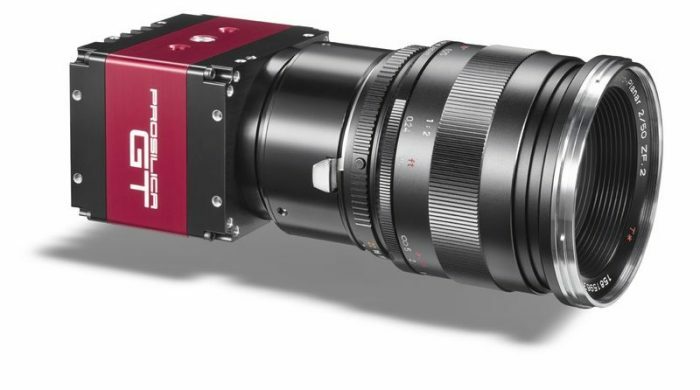 With three new models of the high-performance Prosilica GT camera family, equipped with latest ON Semi PYTHON CMOS sensors, Allied Vision further expands its leading position in the high-value, high-resolution camera segment. These latest additions to Prosilica GT Large Format housing lineup incorporate the 12K, 16K and 25K families of the high-resolution ON Semi PYTHON sensors with In-pixel Correlated Double Sampling (IP-CDS) global shutter technology. The Prosilica GT5120 incorporates the ON Semi PYTHON 25K sensor, offering a resolution of 26.2 Megapixel. The Prosilica GT4096 is equipped with the ON Semi PYTHON 16K sensor delivering a resolution of 16.7 Megapixels. And the third new Prosilica GT4090 model has the ON Semi PYTHON 12K sensor and offers a resolution of 12.5 Megapixels. Combined with robust thermal housing designed to operate in extended temperature ranges and fluctuating lighting conditions the new Prosilica GT Large Format cameras are ideal for high-definition imaging applications with demanding requirements of robustness and design-in flexibility. They provide a great option for high-quality imaging for anyone looking to switch over from existing CCD cameras to CMOS cameras with similar resolutions and optical formats. The new models are the first Prosilica GT high resolution cameras optionally available as NIR version, offering an increased sensitivity over the whole visible and near infrared spectral range. The cameras are available with F-mount lens adapter, and thanks to the modular concept, they are also available with M58, M42, and EF-mounts to accommodate a wide range of lenses. Planarity adjustable mounts (PA-mounts) are also available. The new Prosilica GT models are available now in both monochrome and NIR camera models.